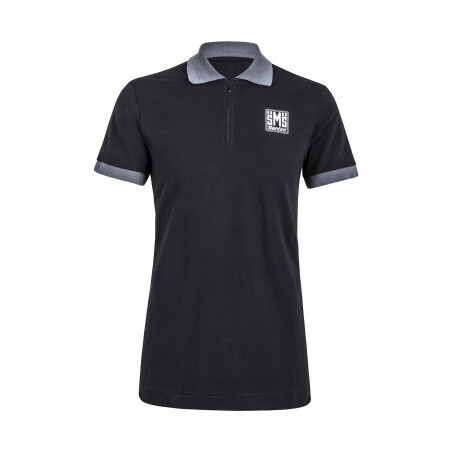 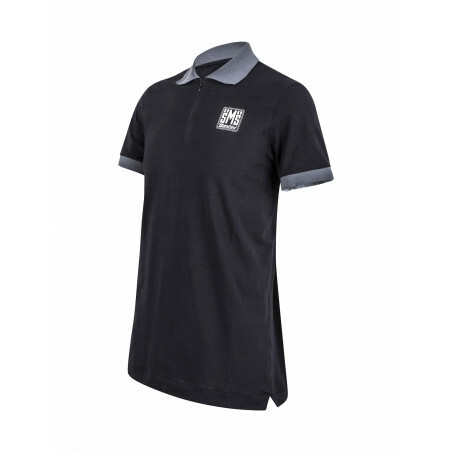 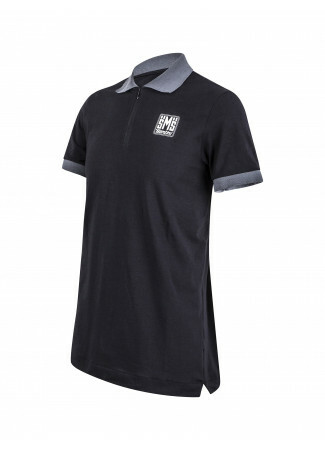 The Santini polo shirt is an essential piece of clothingfor a casual but chic look. 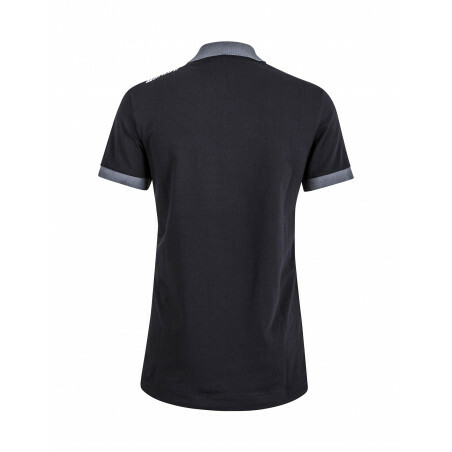 Made of soft stretch cotton for a great fi t. Neck with zipper. 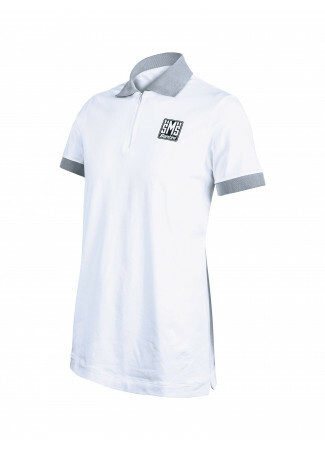 Colored piping on sides and cuffs and SMS logo on the chest. Available in white and black.